From our 20,000 square foot facility located in Port Hope, Ontario, Canada, we have shipped trailers as far away as Australia and service North American Markets on a daily basis. Our trailer customer base is a good mixture and ranges from independent operators to large corporations. Purchasing policy for trailer parts is to buy only those parts made of the highest quality and manufactured to the most demanding specifications. This policy, and our own strict manufacturing process, ensures that your tag along or fifth wheel trailer meets or exceeds your specification resulting in years of worry free service and increased profitability. Trailers we produce are backed by a full 10 year structural warranty and a lifetime wiring warranty. Our warehouse keeps a good supply of parts needed for the trailer operation and as a result we can assure you that we keep the production dates promised. We can, and we do! Although our primary market is the North American market, we have clients all over the world we ship our trailers to. Our trailers carry a 3 year warranty with a lifetime wiring warranty. WHAT DO YOUR TRAILERS COST? That's a tricky one. We have so many products, and the markets change consistently. It's best to contact us for a quote. We are very competitive against our peers. Family owned & operated by brothers Joseph & Raymond Hopper. Originally only small tag and long trailers up to 40 Tons we built. 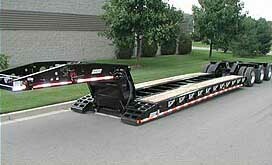 An opportunity arose for a friendly purchase or Paron Trailers in London, Ont in early 2003. Dominant presence in the heavy haul industry achieved. 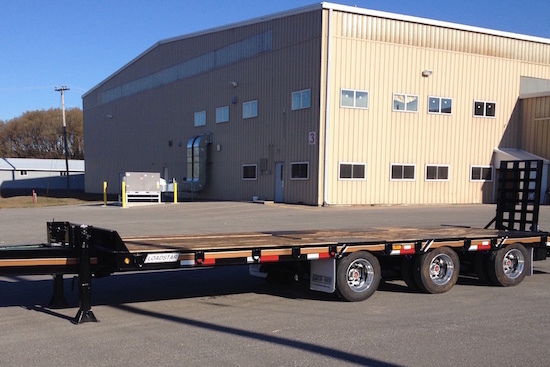 From just tag-a-long trailers LoadStar expanded into multi-axle combinations, lowbeds, jeeps, mini-decks, custom solutions, and up to 13 axle self-steering dollies to move bridge girders for the highways. LoadStar has grown on its 20,000 sq. ft premises with 20 full-time employees and all engineering done in-house.